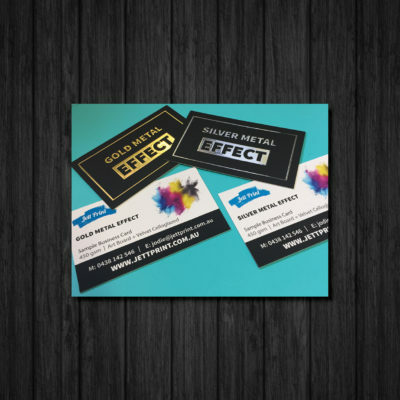 Raised Print Business Cards conveys an elegant presentation, artistic flair and unique look. 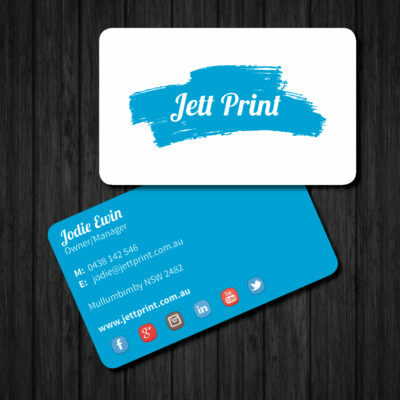 As you can see from the image, Jett Print Raised Print Business Cards are done a little differently, we layer a spot gloss UV to give your Business Cards a really high quality look with a raised, glossy coverage over certain areas. 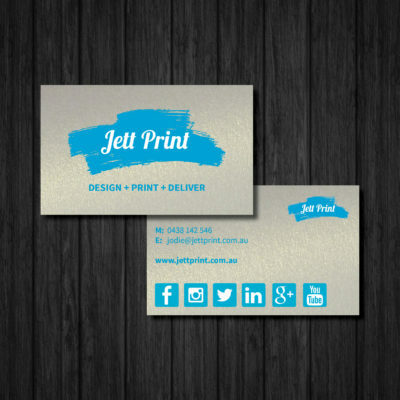 Jett Print Raised Business Cards are printed full colour on Ultra Thick 450 Gsm Art Board + a Plush Velvet Celloglaze 2 sides with Raised Print on 1 or 2 sides. 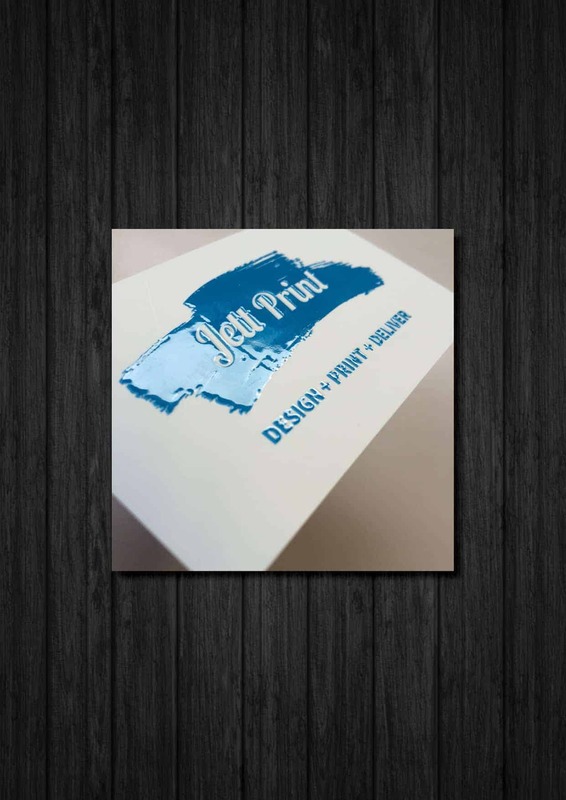 Click here to see how you should be supplying your file to be print ready for Raised Printing. Fantastic people to deal with, high quality work and extremely efficient.